Picqer is online warehouse software designed for you: growing webshops. 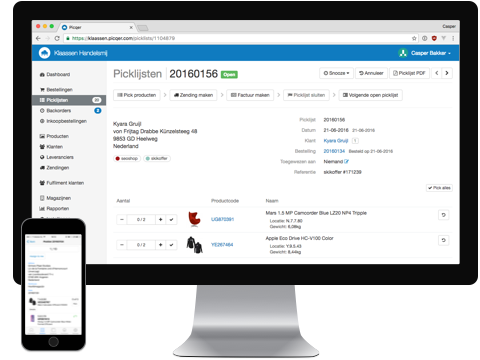 Since 2012 we are focused to make webshop warehouses efficient and effective, with great online software that everyone can use without the need for consultants. There are already honderts of warehouses that run on Picqer, including more then 100 Lightspeed shops. Picqer collects all orders from all of your shops. That may be multiple Lightspeed shops, but you can also combine with other platforms we support. Then Picqer ensures a smooth process so you can pick your orders ASAP. For example, by batch processing of orders we automatically rank pick actions on the locations in your warehouse, so you can pick 20 orders with in 1 round. But also by supporting barcode scanners so you never send the wrong product. 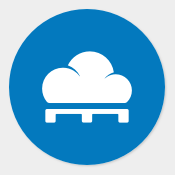 And our direct links with shipping providers like PostNL and SendCloud will print shipping labels automatically. And with Picqer Mobile you can process orders completely paperless. Picqer also supports you in other warehouse processes, like detailed overviews of stock levels and its history. 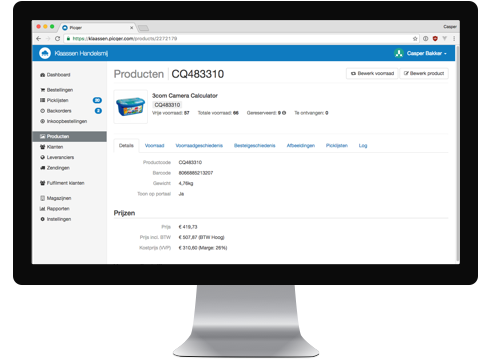 Picqer also gives great advise about which products you need to purchase, and you can send those purchase orders to your supplier with 1-click. You get all that for a fixed price a month. No setup costs, no learning courses or consultants. And if you need help, we are ready for you. You only pay one clear fee for Picqer, starting at € 349 a month. No startup fees, no consulting fees and free support. Picqer pays for itself when you have more then 20 orders a day. Want to know more about Picqer? 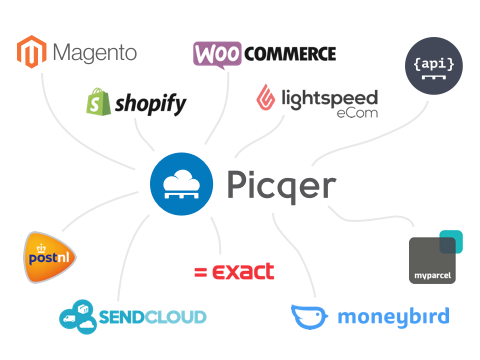 Let us give you a free online demo of Picqer, so you can see how Picqer works for you. The connection between Lightspeed and Picqer costs € 4,95 per connected Lightspeed shop a month. Not sure if Picqer is a good fit for you warehouse? Or maybe you have questions about how to improve your warehouse? Please email [email protected] and we are happy to help.